(Geneva/Kampala/Nairobi) – Online businesses in Kenya and Uganda have a new tool to connect to international clients and boost their exports following the launch of e-directories for the two countries. The Ugandan Exporter Directory and the Exporter Directory for Kenya will enable tech companies in each country to showcase their products and services on a one-stop online platform. The e-directories are designed to serve as a platform for B2B interaction. Kenyan and Ugandan companies can display their information technology (IT) products and IT-enabled services (ITES). Meanwhile, foreign companies looking to procure such products or services will have a common virtual marketplace to access potential suppliers. The user-friendly e-directories will be available both online and in print. The two directories have been developed as part of the International Trade Centre‘s Netherlands Trust Fund (NTF III), an umbrella group of projects supported by the Dutch government. The e-directories will help tech companies in Kenya and Uganda reach a wider range of potential clients. They are envisioned to pave the way for international contracts for the listed companies. The Ugandan e-directory will be hosted by the National Information Technology Authority-Uganda (NITA-U), which is affiliated to the Ministry of Information, Communications and Technology (ICT). In Kenya, the private Kenya IT and Outsourcing Services (KITOS) association will host the country’s e-directory. At the time of launching, the e-directories will include IT & ITES companies currently working with the NTF III project. After that, the host organisation in each country will determine how to add new export-ready suppliers to the list. The Exporter Directories will go live on 10 November. Over the last five years, Uganda’s ICT sector has grown at an average annual rate of 19.7%, adding an estimated 2.5% to the country’s GDP. In Kenya, the IT sector has made a major contribution to the country’s economic growth, leading some to give it the moniker of ‘Silicon Savannah’. The Kenyan ICT Board estimated that the domestic ICT industry will be earning an estimated US$2 billion by 2017, accounting for about 25% of Kenya’s current gross domestic product. 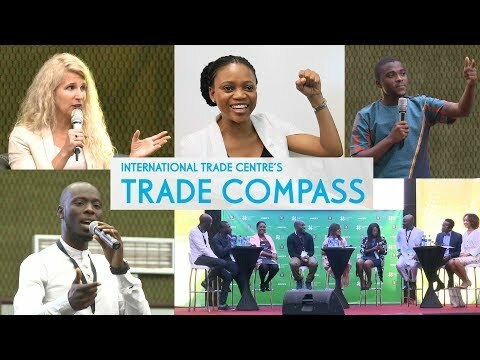 Robert Skidmore, Chief of Sustainable and Inclusive Value Chains at ITC, said: ‘These e-directories will help bring more of the global outsourcing market to Kenya and Uganda by allowing foreign companies to see the services provided by companies in the two countries. Kenya and Ugandan IT and ITES companies are increasingly being recognized as innovative and cost-competitive and this directory, along with the work NITA-U and KITOS, will further increase their visibility. NTFIII is funded by the Centre for the Promotion of Imports from developing countries, an agency of the Dutch Ministry of Foreign Affairs.